Added on January 15, 2014 by Dan Kowalski. 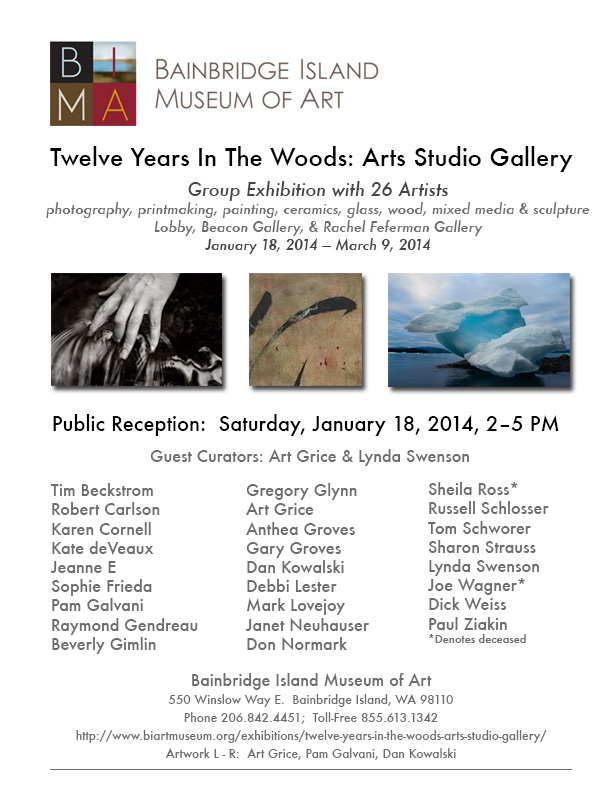 Honored to be part of the Bainbridge Island Museum of Art exhibition, "Twelve Years In The Woods: Arts Studio Gallery", opening January 18, 2014. The show pays tribute to the gracious and generous ethos that Art Grice fostered with his Gallery—off the beaten track and standing for the integrity of a wide range of artists' work.